Write what you know by transferring these emotions into your characters story, rather that writing a story about you. 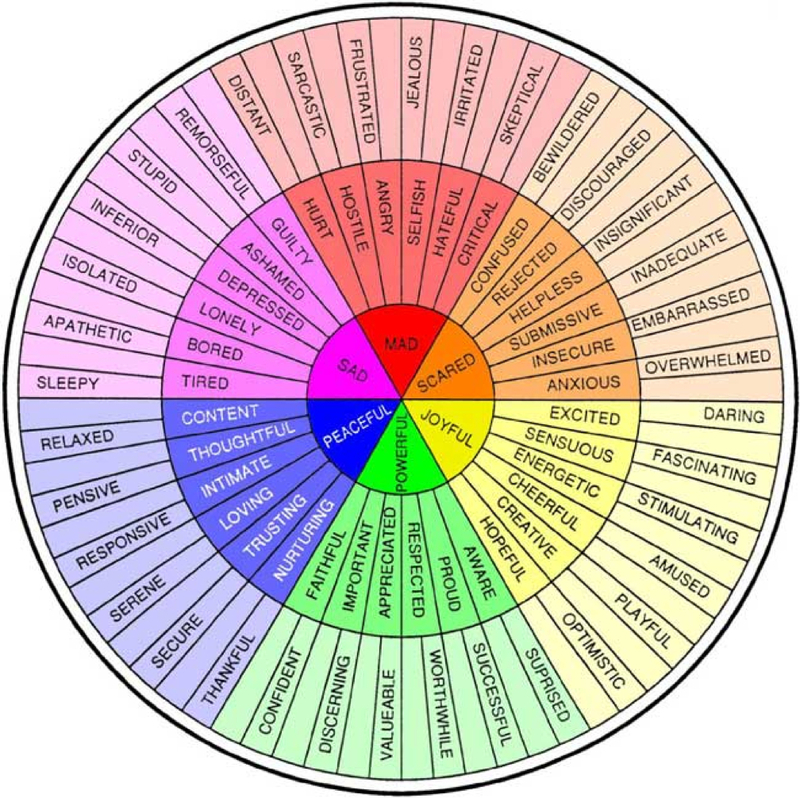 Using the emotion wheel, start in the middle and list six significant moments or experiences from your own life where you felt sad, mad, scared, joyful, powerful, and peaceful. Look for something in each that you can apply into your writing. Take the next ring and do the same. Make a list of keywords to describe specific actions, reactins from yourself and others, and words that were spoken. Use this list/notebook as a point of reference when writing scenes for your characters. ALL OF OUR EXERCISES AND MUCH MORE CAN BE ACCESSED VIA OUR E-COURSE.